Cape-along-ing. Longing for a Cape? – Would I Wear it in Paris? Recently, I joined the Great Cape Along over at the Monthly Stitch. I’d been looking for something cool like that to do online, and I do love a cape. 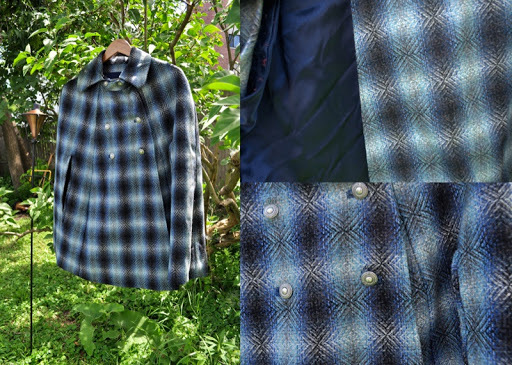 Of course, I don’t actually need one, having made one a couple of years ago from Burda Pattern 7619 in a beautiful blue plaid wool I scored from Mood Fabrics. A Carolina Herrara fabric and it’s still there. It has a beautiful navy blue satin lining (from either Mood or Fabric Mart) and some silver buttons that I may have lucked out on at Joann’s, but probably came from a yarn store somewhere. But, it occurs to me that I probably need a Sherlock cape coat. You know, the type that is a coat with a little shoulder cape. Papercut patterns down under in New Zealand has something really cute and I have some cotton velveteen that I think will suit perfectly. It’s supposed to be a chocolate brown, but is more of a mauve-y dark taupe. I made up a mood board over at Pinterest. I really like the old Vogue pattern–so witchy! I found the image just the other day. 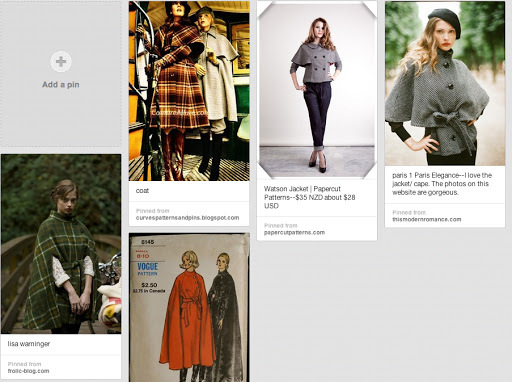 I found the image of the green plaid one a few years ago–it looks like it is made from the Vogue pattern doesn’t it? I love these little instances of coming-together! Right now my plan is to add a shoulder cape to a double-breasted jacket pattern I already have, dye (urp!) the cotton velveteen, find some lining and go from there. 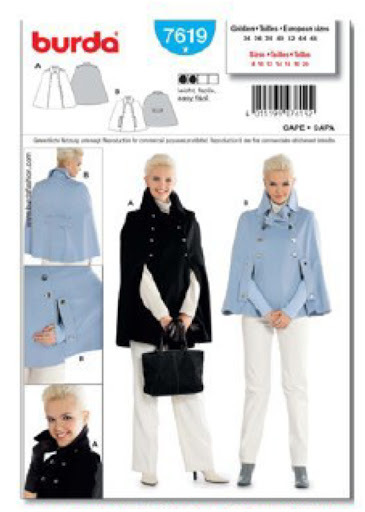 But, if I can get my hands on that Vogue cape pattern, plans will change! Previous Previous post: Blog roll, please!